Sony has been one of the manufacturers to raise the curtain at the IFA 2012 and has already released the new smartphones that add to its large catalog. This new line of Xperia phones includes three new models: the Sony Xperia T-a high-end 4.5-inch-screen, the Sony Xperia V - Waterproof and LTE connectivity and Sony Xperia-J-the more modest three. In this analysis we focus on the intermediate model, the Sony Xperia V, although more than intermediate be located practically at the same level of performance as the Xperia Sont T. This is a very complete smartphone with a 4.3-inch HD screen, camera no less than 13 megapixels, dual core processor and LTE connectivity. What's more it is also waterproof thanks to the shield that provides the certificate IP55/57. Following is a detailed analysis of all its features. The design is a very important aspect for the Sony team and always try to bring a touch of class and elegance to all its products. 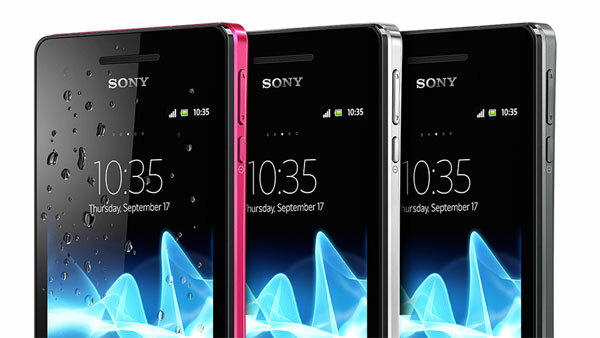 With the Sony Xperia V have rescued curved design line which began with the Sony Ericsson Xperia Arc but the whole is easier. The back is slightly concave and around the terminal there is a silver bezel. The front is occupied almost entirely by touch screen and below it has reserved space for capacitive touch buttons to go home, back or open menus. The terminal will be convenient to operate because its size is not excessive, and is relatively thin (10.7 mm) and lightweight, weighing 120 grams. 'll Be available in three colors: white, black or pink. 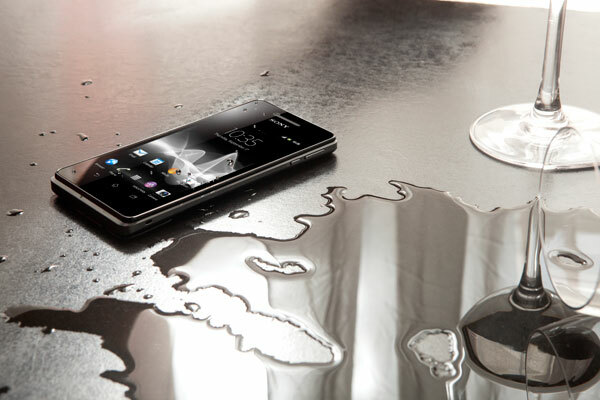 The Sony Xperia V noted for its water resistance, the terminal has been certified with the code IP 55/57. This means that your case is ready to resist the ingress of dust on the track and last but not least also be immersing a meter for up to 30 minutes. More and more manufacturers that are committed to provide their products to a more resilient, something that comes in handy on devices like smartphones that can be easily damaged. The screen on this model is one of the highlights. 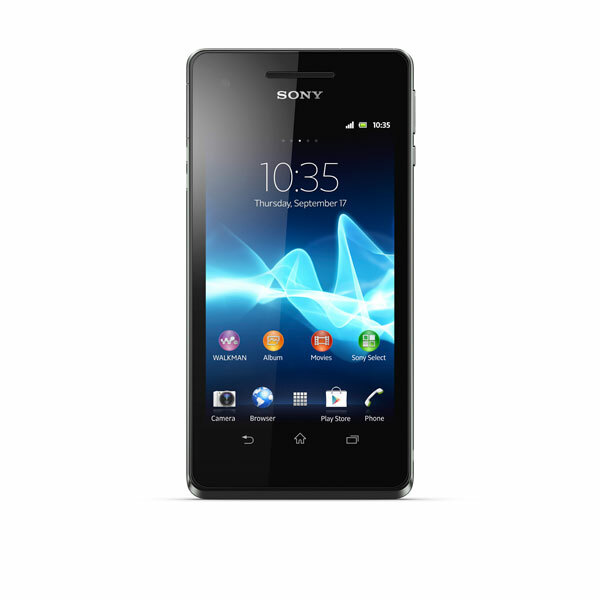 It has a diagonal of 4.3 inches and boasts of offering a HD resolution of 1,280 x 720 pixels, just as in the Sony Xperia S density is 342 dots per inch (the highest in the market). Like all the latest mobile brand, the panel comes with Mobile BRAVIA Engine engine to ensure outstanding graphics experience. How could it be otherwise in a SUV smartphone, the screen is covered by a thin sheet of scratchproof glass. Another of the strengths of the Sony Xperia V lies in its full-profile connections. Start supports LTE networks, it is also known as 4G and theoretically offers surfing speeds up to 100 Mbps, the pity is that in our country has not yet implemented this technology globally. If there is no available LTE terminal can also connect to 3G mobile networks, specifically with HSPA + system for navigation at a maximum speed of 14.4 Mbps How could it be otherwise the Sony Xperia V is compatible with the Wi-Fi standard, we can also use it as a portable modem thanks to Wi-Fi Hotspot - and features DLNA for viewing multimedia content on other compatible devices (TV, player ...). Also could not miss the port and Bluetooth wireless GPS antenna. To conclude the section on wireless connections must stress the NFC chip that can take full advantage thanks to the one-touch. This system not only can we make mobile payments, it will also be possible to share music and photos Compatible with other Sony terminals, just giving a little touch. Finally physical connections consist of an audio jack of 3.5 mm and a support MHL MicroUSB port. This is a system that allows HDMI converter to launch a high-definition signal to a larger monitor. Again this model continues to surprise on the photographic section. With this smartphone Sony has invested heavily and has integrated sensor no less than thirteen megapixel Exmor is also R-type system used by the brand in its compact cameras, and ensures high image quality and definition. As we seen in previous models (Sony Xperia S Sony Xperia acro or S), the CAMRA has many features to make the photographic experience is as complete as possible. These features include LED flash, autofocus, image stabilizer, red eye reduction, HDR photography, 16x digital zoom and 3D Sweep Panorama system can capture panoramic-dimensional effect that can be displayed on a compatible device. 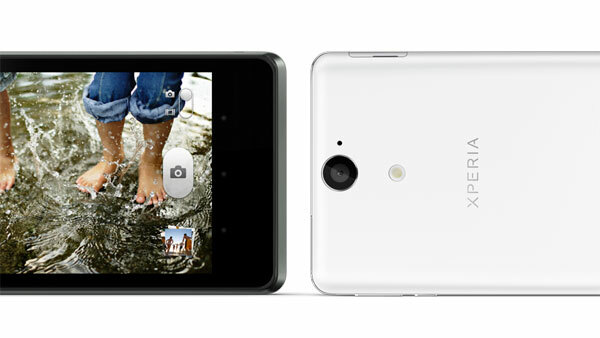 How could it be otherwise, the Sony Xperia V camera can also record videos in FullHD quality and also integrates a front camera for video calls 0.3-megapixel (VGA). The Japanese company often place special emphasis on everything related to the media profile. The integrated Walkman music player allows the user to enjoy superb sound quality thanks to Sony Clearaudio. Addition offers access to millions of songs with Music Unlimited application. To share pictures Sony has introduced the new Album app, users with this service can view and search for all kinds of genres from photographs. Movies application also includes a video player that offers high quality picture and audio, but also also lets you overview and background of movies from the Gracenote database. Sony does not forget users more gamers Sony Xperia V and this comes with the PlayStation certified and is compatible with 3D games. Finally it should be noted that the Sony Xperia V supports a variety of formats (audio, video and image) and also features an FM radio tuner with RDS. A high-end mobile such as Sony Xperia V This could only have a good processor to move all its services seamlessly. Specifically it is a dual-core chip that operates at a frequency of 1.5 gigahertz, this along to a Gb RAM ensures smooth and seamless. Finally in this section we must refer to the operating system, it is the popular Android platform in version 4.0 Ice Cream Sandwich. It is one of the most current versions but the manufacturer has already announced that it will upgrade to the latest, Android 4.1 Jelly Bean, to have advantages as the wizard Google Now or significant improvements in the overall performance of the device. The battery is the weak point of most smartphones and may also be so in the case of the Sony Xperia V. The manufacturer claims that the device will withstand without going through an outlet in seven hours use and 300 hours standby. Also provides details about the maximum video playback, which is four hours, and 18 hours when listening to music. These values ​​are highly dependent on our use of the terminal and can be significantly reduced. By the time Sony does not offer information about the date that will go on sale this model, nor its price. We look to provide all the news. Sony is in the form, so far this year have been many and smartphones are growing pace yourself knowing for quality. 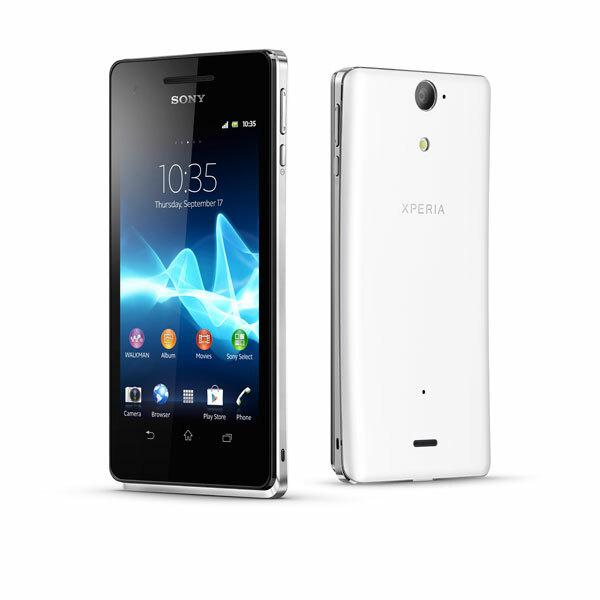 The Sony Xperia V is a high end phone that will be perfect for users who want to be trendy. Noted for its 4.3-inch HD display, the full-profile connections, 13-megapixel camera and water resistance only adds icing on the cake. Places to look for fault maybe Sony should have opted for a quad-core processor-the-trend, a battery with more capacity and expand a bit more internal memory.